The parents of Casey Anthony said they believe their daughter is mentally ill and warned that they’d sue if she attempted to sell her story. George and Cindy Anthony’s comments came in response to a question about a rumor that Casey may appear on a reality television show with released convict O.J. Simpson, the Orlando Sentinel reported. Cindy, claiming her daughter is mentally unwell, speculated Casey may have had a seizure at the time of 2-year-old Caylee’s death. It mirrors claims from Casey’s attorney, who said his client had a “blackout” following the death of her young daughter. 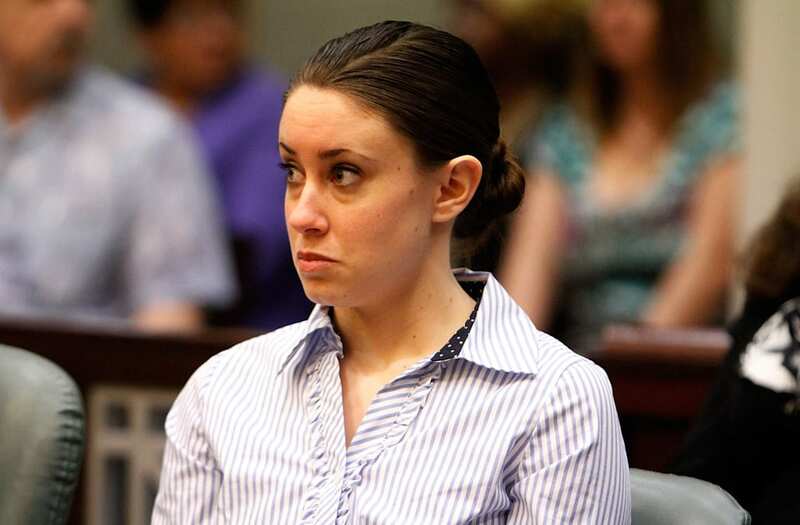 Casey Anthony in 2011 was acquitted in the murder of her toddler, whose buried remains were discovered in 2008. The case has been one of public intrigue and has repeatedly grabbed national headlines ever since. Whether they do or not, George Anthony made it clear he was not interested in being part of his daughter’s life. They haven’t had a relationship since her defense team accused him of sexually abusing her and covering up Caylee’s death, People reported. The Anthony family is currently facing foreclosure on the home where they raised Casey, according to the magazine. Casey, 31, is now living in South Florida with one of her private investigators.